​ GEORGETOWN – The Wolf Lakes Village mixed-use development is expected to break ground in spring 2018. The 164-acre mixed-use development is near I-35 and SH 29, and such as the Wolf Ranch Town Center shopping mall and the 755-acre Wolf Ranch residential community. 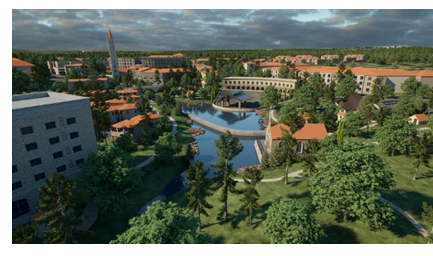 Wolf Lakes Village will be modeled after a classic Italian village reflecting a region’s specific architecture and culture. So expect features like stone masonry, a bell tower, fountains and a central plaza. Like other mixed-use developments, the village will feature office space, residential units, restaurants, hotels and other amenities.